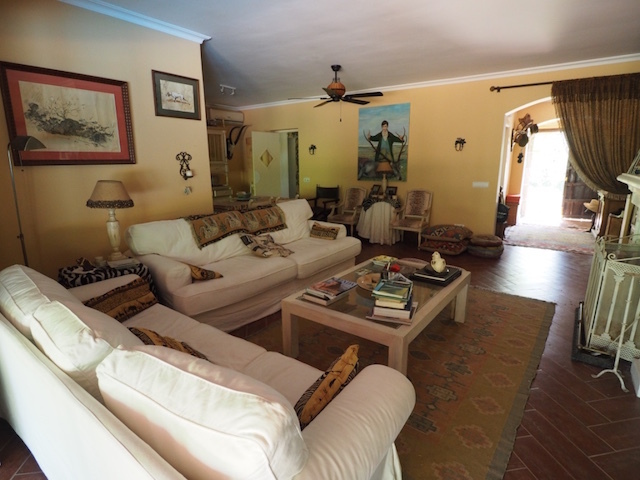 Traditional Andalusian style villa for sale in Sotogrande Costa. 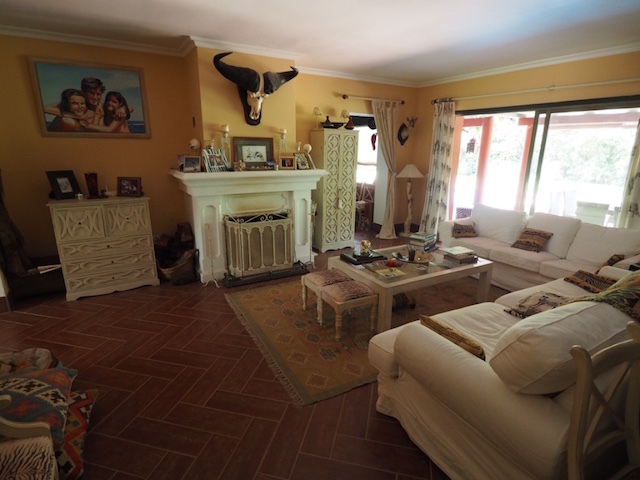 This family villa is full of character and charm. 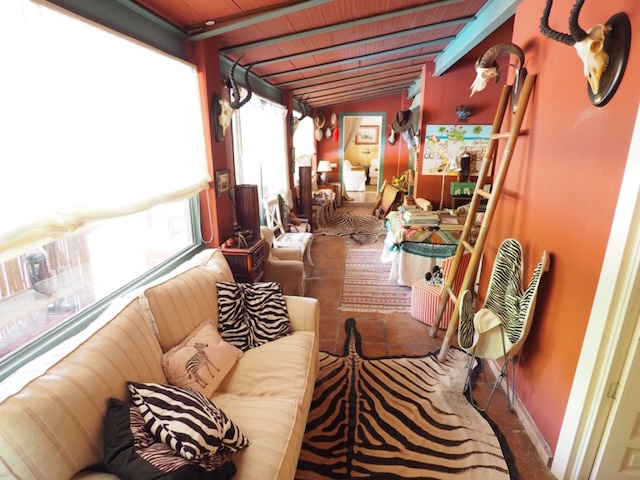 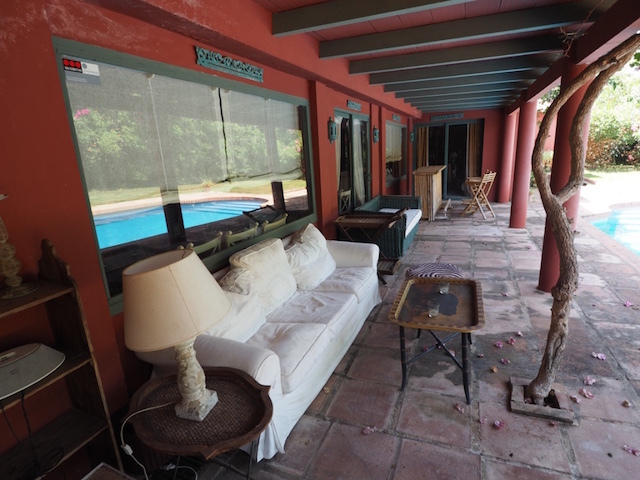 Located in an established area and at walking distance from centre comercial Paniagua. 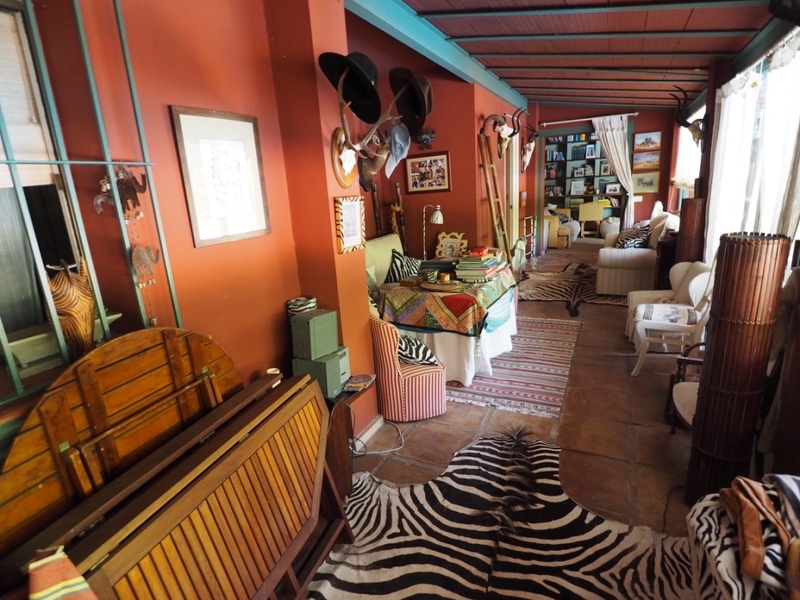 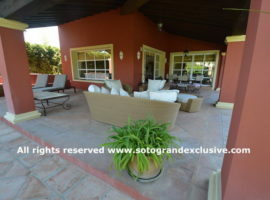 This villa for sale comprises of a total of six bedrooms and five bathrooms. 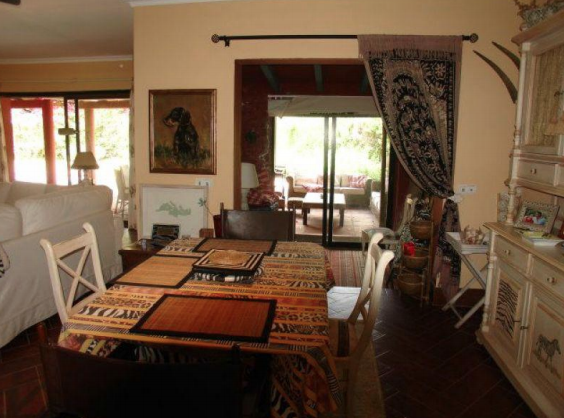 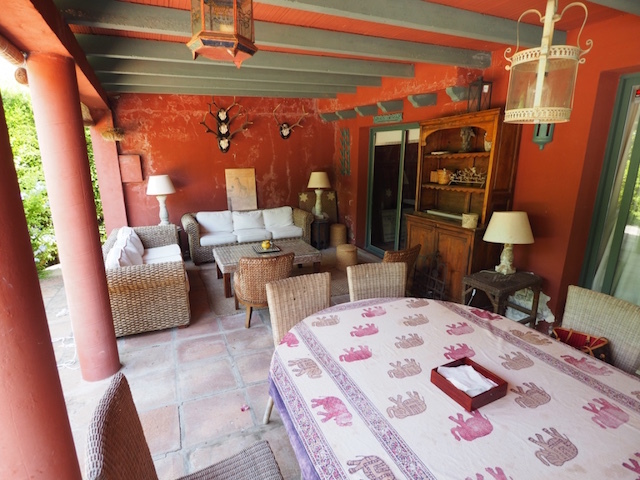 In the main villa you will find an open plan style sitting / dining room. 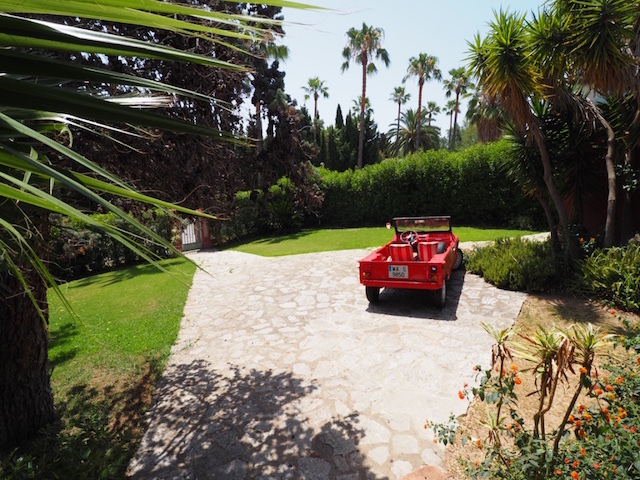 Direct access onto the covered terrace area overlooking the garden and pool. 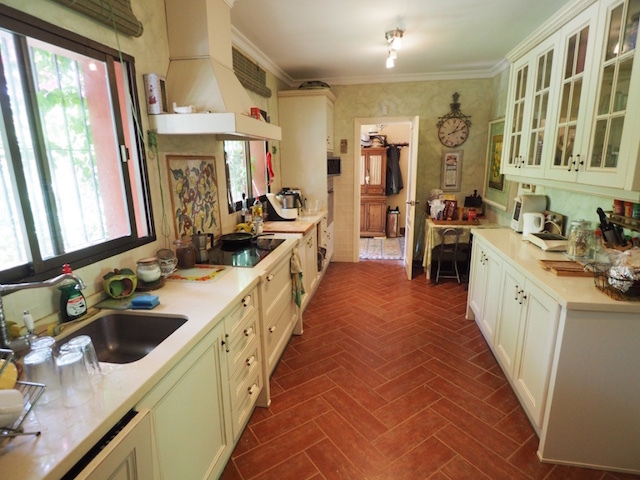 The kitchen, refurbished some years ago, is fully equipped and has plenty of storage. 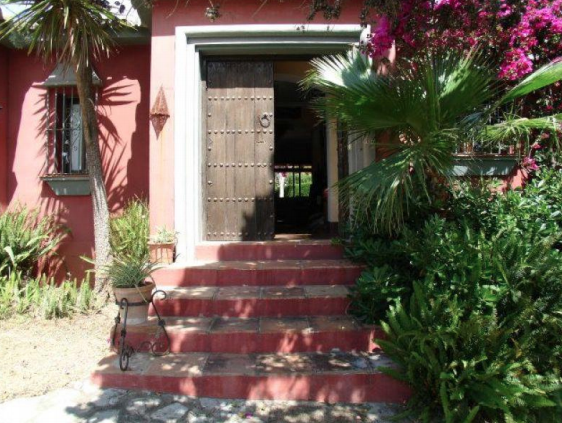 There are a total of four bedrooms and three bathrooms in the main villa. 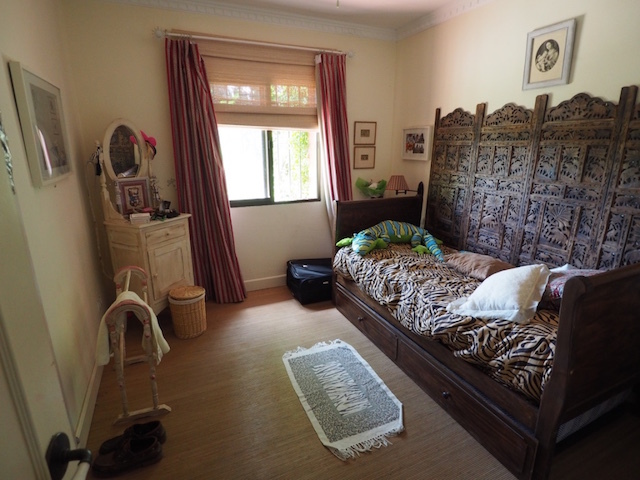 There is also a sweet snug room for the children. 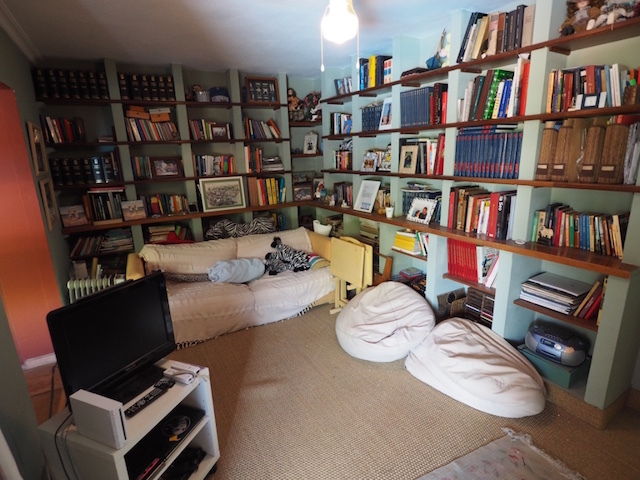 Large reading area which goes right along the corridor of the front of the house overlooking the garden and pool. 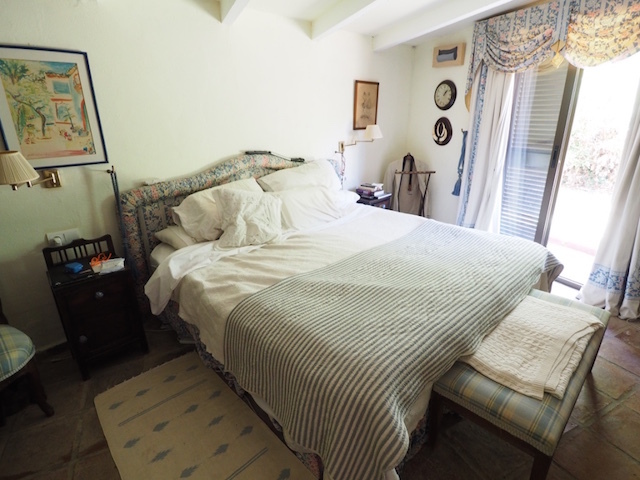 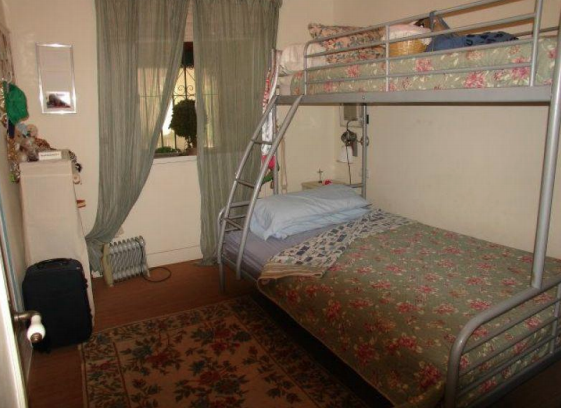 There is a separate granny annex with shower room and bedroom. 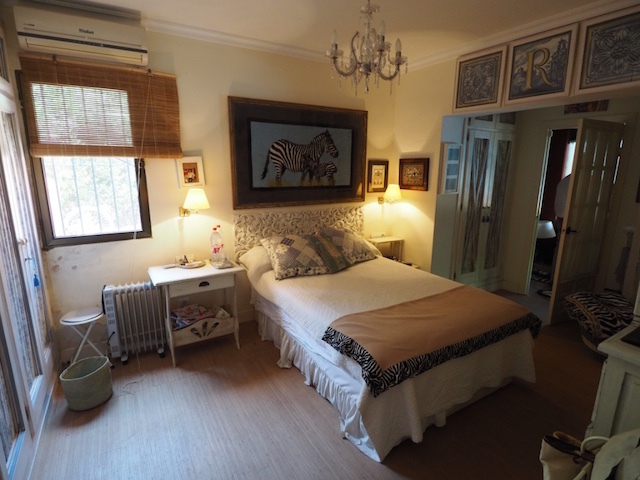 Further more a separate first floor studios style ensuite bedroom and bathroom ideal for guests. 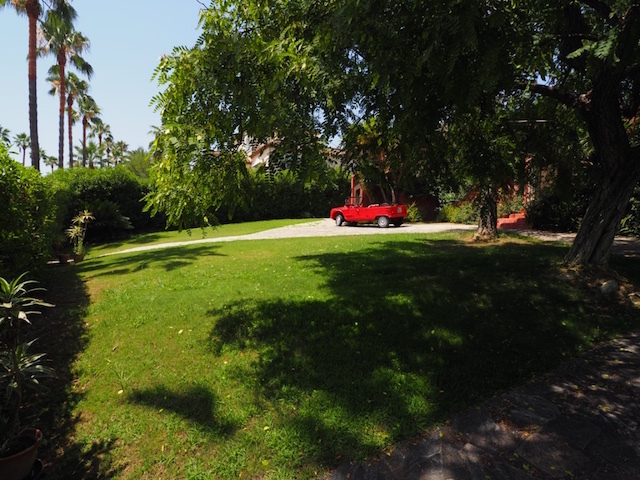 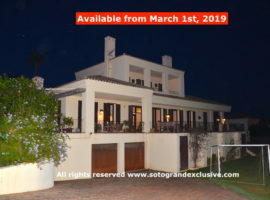 This villa for sale in Sotogrande Costa needs some refurbishments.